Entries tagged with “Merce Cunningham”. Between 1953 and 1980, the visual artists Robert Rauschenberg and Jasper Johns frequently designed décor, costumes, and even lighting for the Merce Cunningham Dance Company. This lecture will examine the sensibility shared by all three artists. Merce Cunningham began his professional career in dance as a member of Martha Graham’s legendary company. But by l953, when he first formed his own company, Cunningham had eliminated virtually every vestige of Graham’s influence from his own dancing and choreography. Significantly, 1953 was also the year in which Robert Rauschenberg created his Erased DeKooning Drawing, a work which -both literally and figuratively – declared his independence from the ethos of abstract expressionism. This lecture will argue that Cunningham’s repudiation of Martha Graham’s approach to choreography is paralleled in precise ways by Johns’ and Rauschenberg’s repudiation of painters like DeKooning, Pollock and the other great abstract expressionists. Collectively, Cunningham, Rauschenberg and Johns (along with John Cage), spearheaded one of the great paradigm shifts in 20th century art: a transition away from the “hot,” anguished, personal energies of abstract expressionism toward the cooler, brainer, more impersonal aesthetic that would eventually manifest itself in minimalism and conceptualism. On Wednesday the Northwest Film Forum will present the Seattle premier of the Charles Atlas film of the most epic performance of Ocean. In September 2008 Merce Cunningham staged Ocean, one of the most ambitious works of his legendary 60-year career, within a massive Minnesota granite quarry. Renowned filmmaker and longtime Cunningham collaborator Charles Atlas was there, using five cameras to document this uniquely epic production. The film was completed last year and has only been shown by dance companies, festivals and in special screenings like this one. While the performance in the Minnesota quarry was seen to be somewhat of a failure by the critics in attendance it was notable (at least to readers of this blog) for several reasons. The first being that it contains the last piece composed by David Tudor (Soundings: Ocean Diary) and John Cage (Ocean 1-96 completed by Andrew Culver). 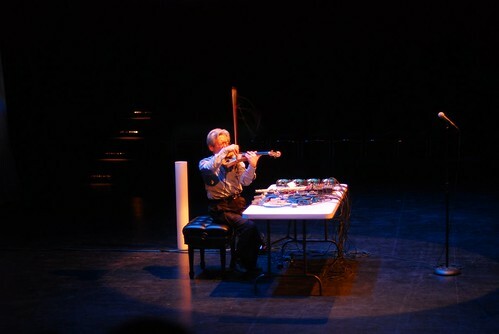 In 1994 it would have still be performed by David Tudor and presumably for the 2008 performance it used recordings or Kosugi’s realization of the piece. Furthermore it is possible that the issues the critics had with an outdoor staging of a piece in the round may not be an issue with a filmed version. The five cameras would allow 360 degree coverage and editing and such could make for a more coherent piece than one could experience live. Atlas was a long time Cunningham collaborator and would I think create a film that Cunningham would approve of. The week concludes with the two performances of from the Merce Cunningham Dance Company Legacy Tour (which almost didn’t make it to Seattle; see this Seattle Times article) , which I wrote up extensively in this blog post: Legacy Tour comes to Seattle. Lots to see and hear for those interested in Merce Cunningham, his dance company and the composers and artists he worked with. I’m off to the lecture at the Henry and of course have tickets to both the MCDC performances. I hope to make the Ocean screening as well, any chance to hear some unheard Tudor is not to be missed and of course more Merce is welcome. Look for a post on all of these activities after Merce Week concludes. When Merce Cunningham died in 2009 the Legacy Plan that he had instituted a few years prior was set in motion. This plan called for a two year world wide tour of the company performing repertoire pieces, concluding with a final stand in NYC after which the company would disband. For months I constantly checked the Legacy Tour listings to see if they’d come to Seattle and it began to seem if they’d not include the town where Cunningham went to school in the tour. I began to check regularly for dates in Portland or Vancouver and when those didn’t show either, San Francisco, LA or anywhere on the West Coast. Some LA dates did appear but I held out for something closer and finally, finally Seattle was added to the list for late October 2011. The program was listed as TBA until the end of the August so I had now idea until just this week what they’d be performing. RainForest would be the piece in the repertory I’d like to see most as it features an excellent David Tudor piece, Andy Warhol’s silver pillow sets and is from the classic 60s period of Cunningham’s choreography. Quartet from 1982 also features a David Tudor piece, Sextet for Seven, which I had not heard until the fantastic Music for Merce set from last year. This was a favorite from the set and it will be great to hear it in context. Duets from 1980 features improvised Irish drumming arranged by John Cage while XOVER from 2007 utilizes Cage’s Aria and Fontana Mix. XOVER is also a very late Cunningham piece so it will be of interest in contrast to some of the earlier pieces. It, as well as Split Sides, was choreographed with the DanceForms software that Cunningham helped develop and from what I understand gave a pretty distinct flavor to the choreography. Split Sides used contemporary avant-rock in the form of Radiohead and Sigur Rós, a rare departure for the companies music. BIPED from 1999 is a full length work and with a piece from Gavin Bryars that I’m not familiar with (I’ve never seen a recording and it wasn’t part of Music for Merce), so something completely unexpected will certainly be of interest. Tickets going on sale in a few weeks, but the Seattle Theatre Group, who runs the Paramount among other venues, allows you to put together your own subscription series with as few as three programs in the series. So I did this with the two MCDC performances as well as an upcoming Kronos Quartet performance (whom frankly I don’t really need to see again, but I do always enjoy their shows and it allowed me to get in on the early action). I definitely recommend anyone in the PNW check out these shows and for everyone else to check out where the last few months of the Legacy Tour is playing. The final performances in NYC look to be amazing, with many of the surviving original composers and musicians involved and what is sure to be a fantastic and emotional conclusion to this incredible institution. Full info on the Seattle programs below, with details from the MCDC pages on these dances. XOVER (“crossover”) reunites the original collaborators, Merce Cunningham, John Cage, and Robert Rauschenberg. The piece is danced with two works by John Cage: Aria, for solo vocalist (1958) and Fontana Mix, for any number of players (1958). Robert Rauschenberg’s décor is based on a 2003 painting, Plank; the costumes are white unitards. Lighting is by Josh Johnson. As the title suggests, the dancers cross back and forth across the stage, interrupted by quartets and duets, including one that lasts seven and a half minutes. XOVER is about 20 minutes long. Despite its title, Quartet is a dance for five, performed alongside Tudor’s score Sextet for Seven. Often described as a somber work, Quartet shows emotional and tangible dependencies and restrictions, with a single male dancer, originally portrayed by Cunningham, in the role of the outsider. The other dancers move for the most part independently of him, though occasionally they mirror his movements, or he is caught between two of them. Toward the end, after a small paroxysm, he passes unnoticed from the scene, but in the few remaining moments the other dancers’ movements revert to the restricted, almost robotic shifts of weight with which they began, as though their existence still depended on his presence. The chilling music is a live electronic composition for “six homogenous voices and one wandering voice,” and Lancaster designed the cosumes in hues of crimson, blue, and green. Quartet premiered at the ThéÃ¢tre des Champs-Elysées in Paris. BIPED is a full company work whose duration is forty-five minutes. Cunningham worked on the choreography during 1997 and 1998. Parts of it were performed in Events at the Jacob’s Pillow Dance Festival in Massachusetts during the summer of 1998 as a Work in Progress. The first performance took place at Cal Performances’ Zellerbach Hall on the UC Berkeley campus in April 1999. Cunningham has written: “The dance gives me the feeling of switching channels on the TV…. The action varies from slow formal sections to rapid broken-up sequences where it is difficult to see all the complexity.” Many people have commented on what appears to be the profoundly elegiac nature of the piece, particularly its closing moments. The costumes, using a metallic fabric that reflects light, were designed by the late Suzanne Gallo. At one point in the dance the men, clothed in pajama-like outfits in a transparent fabric, bring on tops in the same fabric for the women. Cunningham had asked Gallo for “something different,” and this was her solution. Aaron Copp, the dance company’s lighting designer, devised the lighting, dividing the stage floor into squares that were lit in what looked like a random sequence, as well as the curtained booths at the back of the stage that permit the dancers seemingly to appear and disappear. BIPED was filmed in performance in France under the direction of Charles Atlas in 1999. Sparked by Cunningham’s strong childhood memories of the Northwest, RainForest’s soundscape, choreography, and stage “habitat” evoke flora and fauna while artfully evading literal representation. 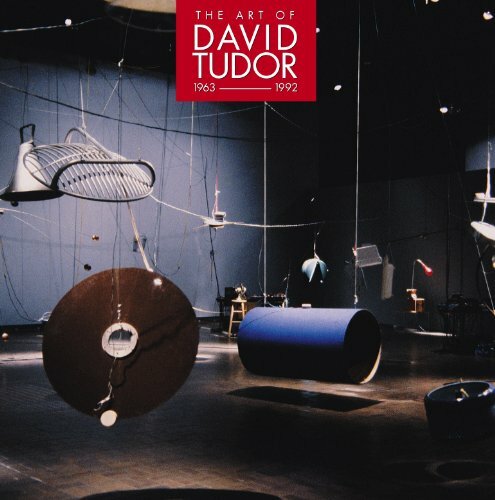 David Tudor’s score is rich and elaborately layered, reminiscent of birdcalls and animal chattering. Cunningham’s choreography incorporates the creature-esque with keen and subtle insight – moments before his exit, Cunningham’s head pulls back into his neck, like a turtle retracting into its shell. Warhol’s installation Silver Clouds (1966) – a number of floating Mylar pillows – serves as décor. Floating freely in the air, the balloons drift above the roaming dancers. When asked about costumes, Warhol said he would like the dancers to go naked. Cunningham felt this wouldn’t work, so Jasper Johns put them in flesh-colored leotards and tights cut by Johns with a razor blade to give them a roughened look. 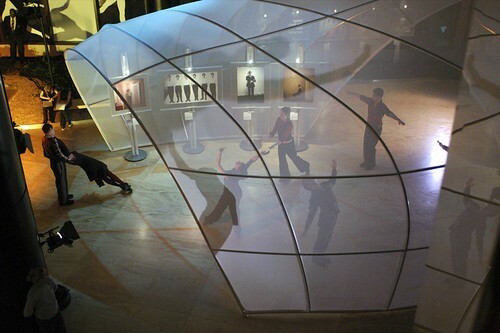 RainForest differs from Cunningham’s other pieces in that, with the exception of Cunningham’s role, each of the six dancers performs, then leaves the stage and never returns. 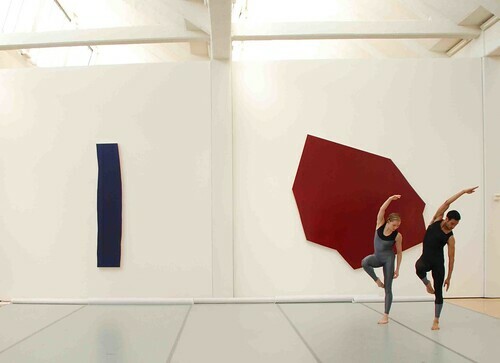 Duets, described by Anna Kisselgoff as a “beautiful and refined” example of Cunningham’s interest in the formal possibilities of movement, comprises of six short pieces, originally choreographed to be included in site-specific Events. To create the stand-alone piece, Cunningham added a brief appearance by one of the other couples in each of the duets, and ended with all of the couples sharing the stage. As if a still photograph were being taken, the ending consists of three short phrases, each followed by a brief stop, closing with a blackout. The Cage score consists of electronic manipulations of Irish traditional drumming by the Merciers, father and son, originally recorded for Cage’s Roaratorio the year before. Split Sides is a work for the full company of fourteen dancers. Each design element was made in two parts, by one or two artists, or, in the case of the music, by two bands. The order in which each element is presented is determined by chance procedure at the time of the performance. Mathematically, there are thirty-two different possible versions of Split Sides. (The coordination of concept and collaborators was by Trevor Carlson, at the time general manager of the Company.) The piece was first given during the company’s 50th Anniversary Season at BAM (Brooklyn Academy of Music), 14 October 2003. 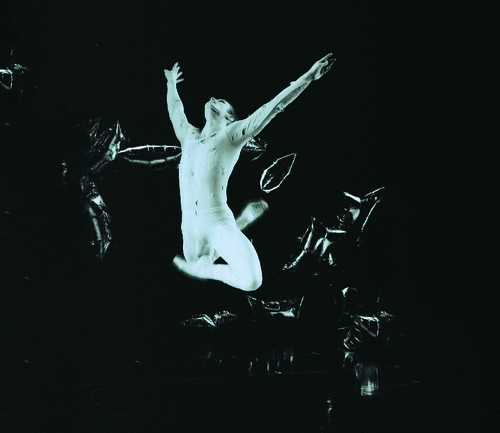 The choreography, also in two parts, each twenty minutes in length, was made, as with all of Cunningham’s dances since 1991, with the use of the computer program DanceForms. There are a number of ensemble (often unison) passages, and also solos, duets that feature much inventive partnering, and trios. Split Sides was a departure for MCDC in that, for the first time, the music was by two bands: Radiohead, the British alternative rock group, and Sigur Rós, the experimental group from Iceland. Radiohead played live for the first performance only, Sigur Rós for many subsequent performances. At later performances, elements of Radiohead’s contribution were played back in a recording, with some manipulation by MCDC musicians. 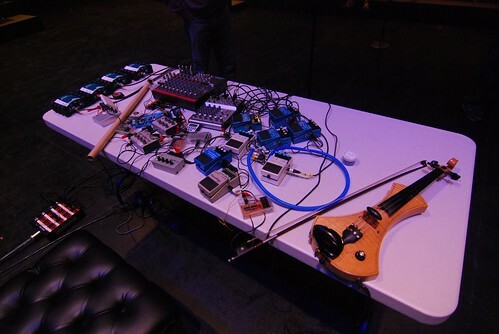 Neither band had seen the dance company before; the musicians of Sigur Rós constructed a kind of xylophone made of pointe shoes, connected to contact microphones. A Spiral Cage is powered by	WordPress 4.6.14 and delivered to you in 0.443 seconds using 23 queries.